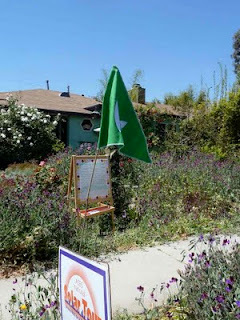 Archie's Garden: The Mar Vista Green Garden Showcase was a huge success! 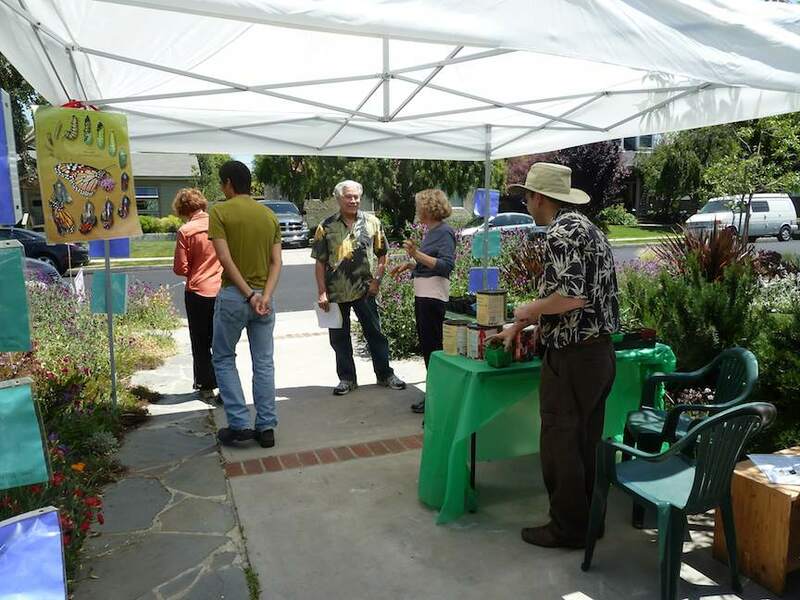 The Mar Vista Green Garden Showcase was a huge success! 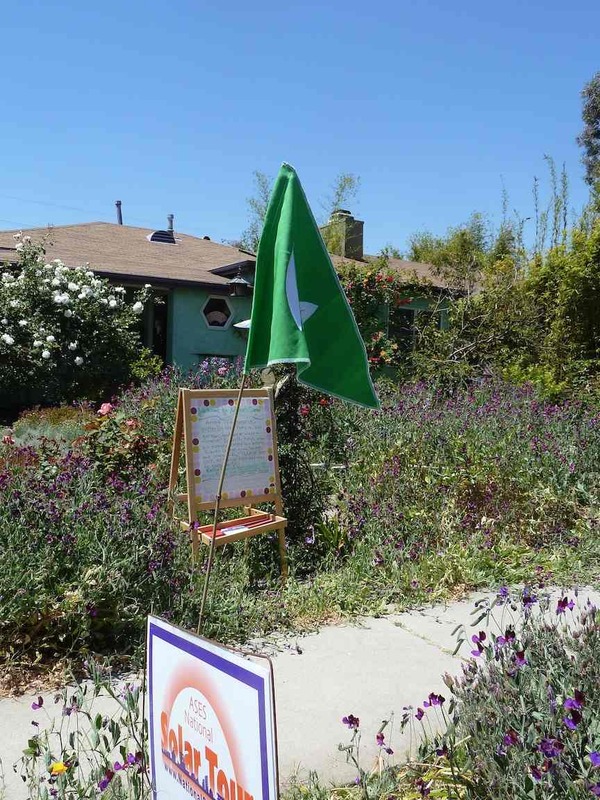 The Mar Vista Green Garden Showcase was a big hit this year, with an estimated 2000 visitors perusing the 80+ gardens opened for public view. 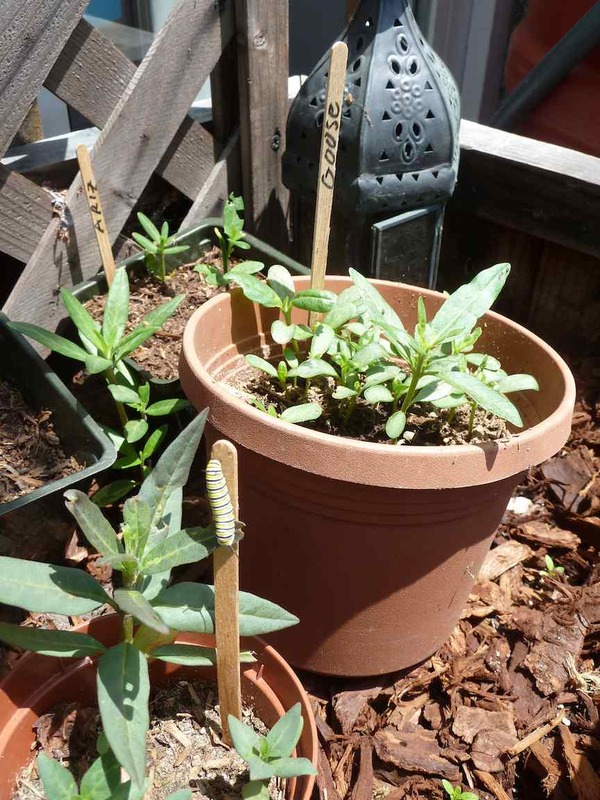 We not only teamed up with our butterfly friend Loree Bryer to give away milkweed seeds and hundreds of milkweed seedlings she grew for the showcase (many with eggs and caterpillars on them already!) but did a little bit of educating about solar panels, rainbarrels, organic gardening, and worm composting. Whew! Thanks to all who stopped by, and let us know if you have questions. We have TONS of milkweed seed packets left, so if you want some drop a line at archiesgarden at gmail dot com. We've found a few new caterpillars on the leftover seedlings so we hope to have some new chrysalides* photos soon! *that's the official plural of "chrysalis," just so's you know. There are lots more photos of the latest flowers on our Archie's Garden Facebook page, so drop by and "Like" if you'd like to see updates in your Facebook thread. Feel free to post your own garden photos and helpful info too, and looking forward to seeing you in the garden! Garden Show Archie in the new "Butterfly Box" by the back door. See him? Thank you so much for the two milkweed pots you left for me on the front porch with the green ribbon! Marcela. It was great to meet you Marcela--drop by anytime if you have any questions, and hope your butterfly garden adventure goes well!. I just wanted to thank you for the worms and milkweed you gave me - and the surprise Archie Jr's that came with them! Awesome! I've just posted your link on the Archie's Garden Facebook page so our other Archie enthusiasts can check it out....they'll want to know about how you found more milkweed too. Let us know how it goes!!! Flower Fotos, May 2011--Poppies! Purslane! Pods!